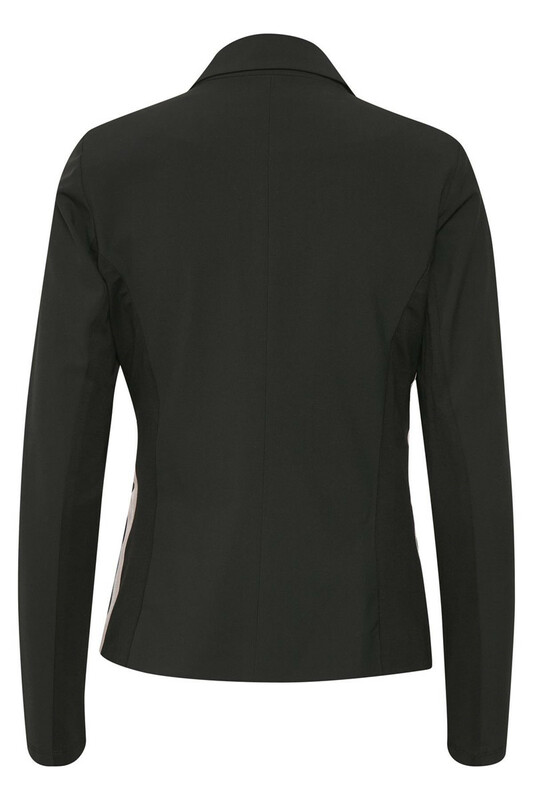 This beautiful blazer has a classic front and back, but on the sides, there is a fine detail with glitter effect. The effect of this detail gives the classic and traditional blazer a fresh and cool stylish look. 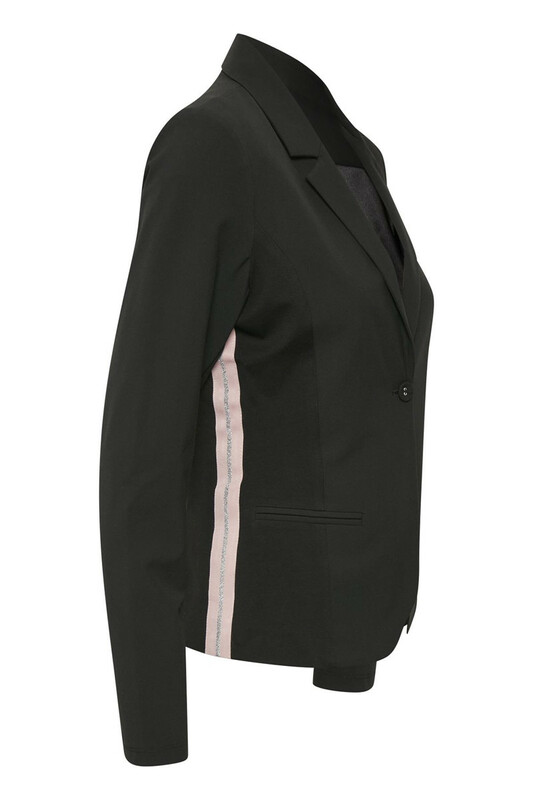 Furthermore, the blazer has a very good stretchy quality, is pleasant to wear, has button closure on the front and two jetted pockets. 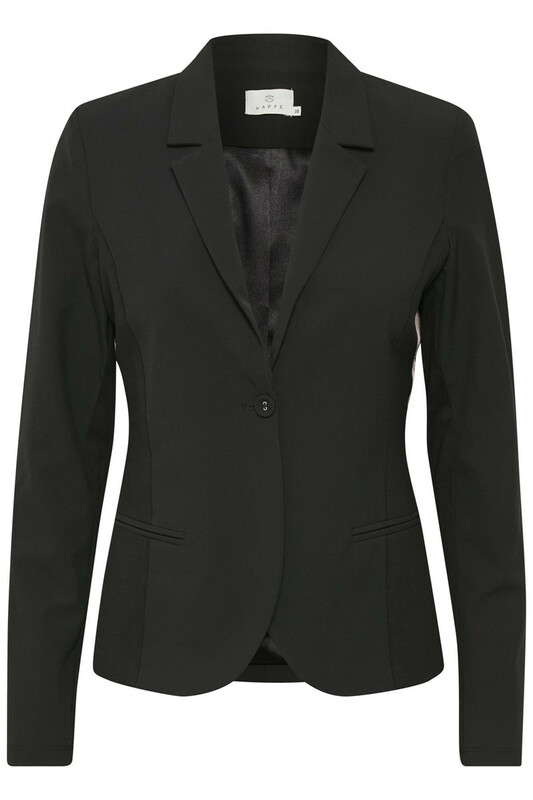 This lovely blazer can easily be used for everyday occasions and celebration events.